“It’s too bad I still don’t have a way to cultivate my Undying Bones….” Although he was happy to have improved his cultivation base again, the mere thought of his Undying Bones got him depressed. Although he had acquired plenty of treasure from the three great clans, he hadn’t found any objects that could provide abundant life force. That left him sighing with regret at the fact that he hadn’t used his Eternal Parasol on the Giant Ghost King back when he’d had the chance. That would have at least given him a bit of life force to work with. “What a pity. Well, time and tide wait for no man….” Sighing, he drove such dangerous thoughts from his mind. After all, if the Giant Ghost King ever found out he had thought such things, he would probably skin him alive…. “For now, I’ll have to forget about my Undying Bones. The most important thing right now is my research into fifteen-colored flame….” Obviously, the best way to keep improving his cultivation base was by working hard with multi-colored flame. Up to now, he had already done plenty of research into fifteen-colored flame, but there were still many aspects of the formula that he didn’t understand. Taking a deep breath, he produced a tongue of fifteen-colored flame from his bag of holding, then began to study it closely. Soon, the glow of augury could be seen in his eyes as he began to analyze it from all angles. Studying an actual fifteen-colored flame in this way would make him much more proficient in using it, and would be a reference point that would make future work much smoother. Three days passed by in a flash. Bai Xiaochun remained immersed in researching fifteen-colored flame, and on numerous occasions, his eyes flickered with delight and anticipation. Although three days was a short time, because of his augury method, he actually made significant progress. Eventually, he sent the flame spreading out to look at it in a different state, and then even went so far as to intentionally destroy it. When all of the fifteen different types of flame appeared, he compared the familiar fourteen colors with the unfamiliar fifteenth. Based on what he already knew, that gave him significant further enlightenment. When evening fell on the third day, he took a deep breath and looked at the destroyed fifteen-colored flame for a long moment, then closed his eyes. After an hour passed, his eyes opened, and they glowed brightly. He quickly pulled out another fifteen-colored flame to continue studying, when all of a sudden, he turned his attention outside of the secluded meditation chamber. “Three days have passed….” he murmured. With that, he emerged out in the open and waited in the courtyard, looking up into the sky. Before long, a beam of light appeared, within which was Chen Hai. “Bai, my boy!” he said, laughing heartily. After landing in front of Bai Xiaochun, he clasped hands and bowed, a broad smile on his face. “Chen, old pal!” Bai Xiaochun said, stepping forward to pull him up from his bow. “Bai, my boy, the mission was accomplished smoothly! All of the things you asked me to get for you are right here.” With that, he produced a bag of holding, which he handed out to Bai Xiaochun. Bai Xiaochun looked at it, and was already starting to pant. Eyes flashing with cold light, he clasped hands to Chen Hai, took the bag, and then chatted for a few more minutes. Eventually, Chen Hai left. At that point, Bai Xiaochun went back into his secluded meditation chamber and sat down cross-legged. Inside of the bag of holding were nine human heads! They were the nine assassins that Madam Cai had identified when being interrogated. None of them were from the Bai Clan; they had all been employed directly by Madam Cai. Regardless of their identity or standing, they were now nothing more than bodiless heads. All of a sudden, Bai Xiaochun found himself thinking of that moment when he had first arrived in the Wildlands, and had actually glimpsed Bai Hao in the flesh, still alive. A moment passed, and he waved his hand, transforming the nine severed heads into nothing more than ash. “Bai Hao, my apprentice,” he said softly, “I have avenged your death. Even though I'm still using your identity, I think that your spirit can now rest in peace.” At this point, he finally let out a long sigh. The direct bloodline had been put to death, and all of the killers were now nothing more than ash. As of this point, all of the karma was completely and utterly resolved. Bai Xiaochun took a bit of time to calm himself again, then pulled out another tongue of fifteen-colored flame and began to perform auguries. More time passed. An entire month flew by, during which time Bai Xiaochun immersed himself in his study and auguries regarding fifteen-colored flame. He never came out of secluded meditation, and yet, his fame continued to grow in Giant Ghost City. The talk about the things which had occurred with the three great clans was beginning to die down a bit, but the reverence people felt toward Bai Xiaochun only grew. And then there was the announcement that the Giant Ghost King had appointed Bai Hao to be the inspections commissioner, and had even gifted him with a treasured spear and an official palace of operations, and his name grew even more powerful and famous. As Bai Xiaochun grew more powerful and respected, the various groups and organizations within the city began to quiet down. The crisis period for Giant Ghost City had passed, and things were really starting to get back to normal. However, no one could ever have anticipated that, just when Giant Ghost City was getting back to normal, one afternoon, a very shocking incident occurred 500,000 kilometers away! It was a vast, 50,000-kilometer area covered with dense fog, a muddy marsh that wasn’t even inhabited by wild animals. Because of the lack of any sort of living beings, it was a location of death and lifelessness. The fog never lifted from the area no matter the time of year, which made it very difficult for anyone to see in. Because of the intense aura of death, and the vile miasma that was dangerous even to Nascent Soul cultivators, few people ever entered the place for long. If they did, they would surely die. It had long since become a forbidden region that no one entered. Any soul cultivator who found the place in their way would always skirt around it. However, any almighty being who could look down on the place from above would notice that there was actually a structure within the swirling fog! The area around the tea kettle swarmed with souls. However, they were different than the vengeful souls usually seen in the Wildlands. Their eyes were bright red, and they seemed particularly violent. They even had horns sticking out of their foreheads, making them look like evil ghosts! However, the violent, evil ghosts only existed directly around the tea kettle, and didn’t fly out into the fog beyond. Apparently, unless they were provoked, they wouldn’t actually cause harm. This location was one of the arcane pocket realms belonging to the imperial clan. It was the Necromancer Kettle! 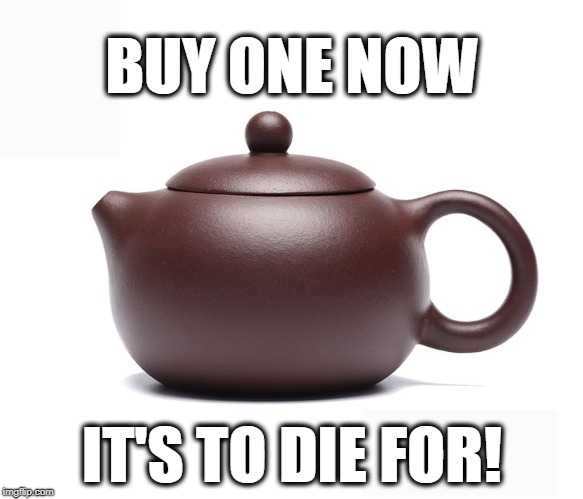 No investigation or research had ever confirmed the origin of the Necromancer Kettle, or the reason why it bore the semblance of a tea kettle. The only thing that was known was that the good fortune inside of it belonged exclusively to the imperial clan. The fog around the kettle formed a year-round seal that was only opened on occasion. However, on this day, the entire Necromancer Kettle began to tremble unexpectedly, and the lands around it started quaking violently. Thunderous rumbles filled the air, and the fog began to seethe and slowly rise off of the ground. At that point, high in the sky above the Necromancer Kettle, a bizarre, black flower appeared! The black flower had five petals, each of which resembled the face of a ghost. As the flower bloomed, the fog swirled around it and also turned into the shape of a ghost face. It was a very shocking sight to behold. The first person to notice the sudden change was none other than the Giant Ghost King in Giant Ghost City. Moments before, he had been sitting in his royal palace listening to Duke Deathcrier report on some matters relating to Nine Serenities City. His eyes had been flickering with cold light, and he had been about to ask a question when, all of a sudden, his face fell, and he looked off into the distance. “The Ghost King Orchid!” he said, his aura fluctuating wildly. Duke Deathcrier’s eyes went wide as the Giant Ghost King suddenly vanished, to appear high in the sky above the city. There, he began to move as quickly as a lightning bolt, to appear in the area near the Necromancer Kettle. When he saw the black flower floating in the sky, his eyes began to shine brightly. He cast a glance at the Necromancer Kettle, and then turned and vanished again, to reappear back in his royal palace. After dismissing Duke Deathcrier, he closed his eyes thoughtfully for a long moment, then turned to look in the direction of Arch-Emperor City. It was in that very city, far, far away from Giant Ghost City, that, in a certain grand hall in the imperial palace, eight ancient and crumbling bones had been enshrined. Suddenly, one of those crumbling pieces of bone began to belch out black mist, which quickly took the shape of a flower identical to the one above the Necromancer Kettle! Several old cultivators who acted as guards outside of that particular hall had sensed the change, and rushed inside. When they saw the black flower coming out of the crumbling bone, they were shocked to the core. After exchanging glances, the old men took out jade slips to notify the Grand Heavenmaster. Suddenly, he heard a voice from outside. After the Grand Heavenmaster’s announcement, news about the blooming of the Ghost King Orchid quickly spread through Arch-Emperor City. Meanwhile, back in Giant Ghost City, Bai Xiaochun had just gone through his sixth fifteen-colored flame. However, his level of control was improving, and it was at this point that he excitedly took out a soulhoarding pagoda. Moments later, a vast horde of vengeful souls flew out into the open, and Bai Xiaochun began to work on conjuring a fifteen-colored flame.